Clemson UMC is excited to serve adults, young and old. We seek to create a space where all persons can find a meaningful connection and place to serve. Contact us anytime at cumc@clemsonumc.org. Clemson UMC offers Sunday School for all ages each Sunday morning between 9:30 and 10:45 AM. Our current discussion is Considering Compassion, based on Karen Armstrong's Twelve Steps to a Compassionate Life. The Monday Night Discussion Group invites you to join us as we begin this challenging exploration of living in greater harmony. We’ll begin on February 4th at 7:30pm in room 116 of the Office Building. This casual small group is designed to be a break for the busy parent whose children participate in Wednesday night activities (including Kids' Club, our children’s music program, and the new Youth Arts program). Breathe meets in room 428 of the Christian Life Center. This group meets every other Tuesday at 9:30am to pray for the needs of the congregation and the community. Would you like us to pray for you? Please email cumc@clemsonumc.org or call the church office at 864-654-5547 and ask for Anne Eldridge. UMM is a group open to men of all ages in the church. UMM meets for breakfast in the Christian Life Center on the second Tuesday of the month at 7:00am. They also meet for a Bible Study all Tuesdays, except for the second Tuesday, at McDonald's in Clemson at 8:00am. UMW is a community of women who gather in smaller groups, known as circles, as well as in a large group, known as General Meetings. We are people who enjoy knitting or crocheting for the benefit of others - no expertise required. 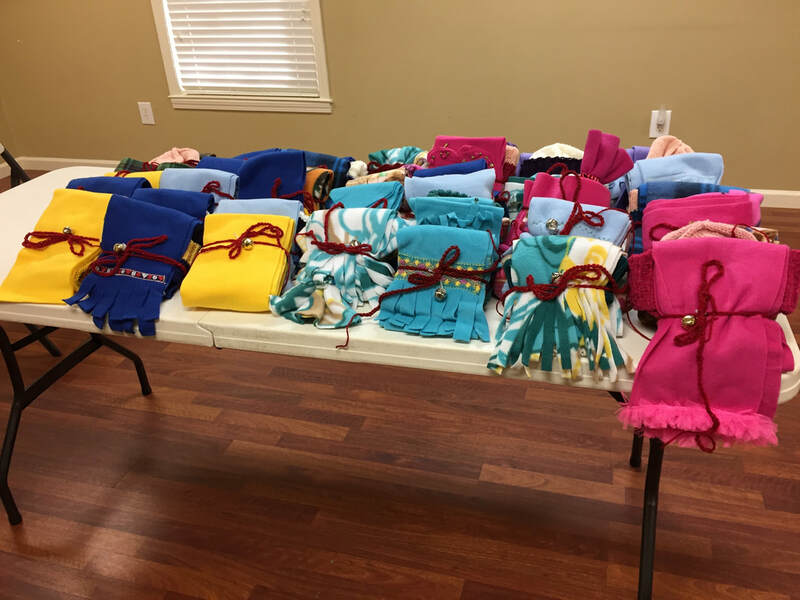 We make prayer shawls and lap robes for people who need TLC, hats for babies at the Greenville Memorial NICU, and items for new babies at CUMC. ​We gather in the CUMC Habitat House on the second and fourth Tuesdays of each month from 2-4pm.